With New Year’s Resolutions planning in mind, it’s time to put your plans for achieving your goals into action. 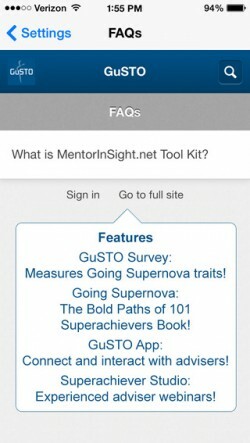 Available in Apple’s App Store when searching for GuSTO Going Supernova Traits Optimizer or for direct download when on your iOS device at: http://www.mentorinsight.net/gusto-app/, this app allows you to easily connect and interact with sought after advisers who can help you plan, strategize, and stay on track with making your dreams come true. Thanks to the cloud, you will have access to their schedules as they will to your goals and appointments and activities over the next ninety days. Have you sought the advice of a mentor or counselor but simply didn’t possess the connections or know how to make that a reality? There’s an answer right in your pocket, with a new app called GuSTO: Going Supernova Traits Optimizer. With the brand new GuSTO App, you’re tapped into a software that will enable you to invite into your calendar a potential network of professional life coaches, counselors, advisers, mentors and friends and family who can help you reach the level you’ve only imagined. Mentors: The people you emulate, idolize, or strive to be like; though you may or may not actually know this person, you look to them as a role model. Collaborators: These are your peers, co-workers, fellow students, or anyone else who works with you on achieving particular goals. Business Contacts: People who work in your field or are contacts that you seek advice from regarding career and business development. Each time one of your advisers accepts your invitation and adds the GuSTO app to their iOS device, you will receive an e-mail notification. However, if the coffee hasn’t kicked in yet and you haven’t thought of all the advisers you want to add, you can always add more advisers to your network later via Settings > Advisers. Step 3: Share! Enter your goals and timelines, network with your GuSTO community of advisers, and start achieving your goals! For purchasers of the app you also gain access to the Career Center Career Coach that can impart wisdom and insights derived from strategic life planners in the form of written advice that you can utilize to help you organize your schedule, manage deadlines, set goals and focus on achieving your goals without falling short. In GuSTO, your calendar is synchronized with any advisers that you personally invite into your calendar and they accept the invitation so that they can then have the ability to review your oncoming tasks. This will then enable the adviser to share with you, if they choose to,useful advice on how you accomplish everyday tasks with efficiency and proficiency based on their own personal insights. Because your advisers can see any appointments you choose to make using the GuSTO app these advisers are now in a unique position to look over your shoulder and give you encouragement and empowering knowledge that not only motivates but may also stimulate productivity, making your world a little better every day. The GuSTO App is downloadable in the Apple App store and synchs via the cloud with any iOS, Outlook or Google calendar. GuSTO customers are provided with unlimited free customer support via the GuSTO Support Center Career Coach.. There’s no need to worry about security with GuSTO. Only your personally selected and invited team of advisers has mutual access to your chosen calendar details. You can still set appointments for other occasions that can go unseen by GuSTO by utilizing your regular calendar; members of your GuSTO calendar network will then only be able to see that you are busy that day and your appointment privacy is maintained.Additionally though as mentioned if you choose to share your appointment and ninety day plans regarding your major goals by making these appointments using GuSTO then your GuSTO calendar network members can view the appointment in their entirety. And the same goes for your advisers, you can view their appointments they make using GuSTO or that they are busy for appointments they make with their regular calendar. This will also save you time when you want to schedule an informational or motivational meeting with your GuSTO member network of advisers. Your organization of advisers can be built from scratch, to construct a literal dream team of life coaching for every specified area of your life. The GuSTO Support Center Career Coach is standing by to help you with advice on how to go about doing this. There’s never been anything like it before, and the results can be literally life changing. Gusto is a clean interface with zero ads, keeping you as productive and distraction free as possible. GuSTO stands for Going Supernova Traits Optimizer, and use of this app will help you become the brightest star in the universe! Our Support Center Career Coachisn’t a robot and nor is the people whose wisdom is being shared through this coach; this is real person to person interaction. You’ll also receive real time notifications such as alerts and email reminders about your appointments that you make with GuSTO if you select receiving them. The GuSTO app allows you to easily connect and interact with sought after advisers who can help you plan, strategize, and stay on track with making your dreams come true. Thanks to the cloud, you will have access to their schedules as they will to yours­—your goals and appointments and activities over the next ninety days. In turns out that superachievers tend to hang out with other superachievers. This is your opportunity to join a community of ongoing support for striving superachievers and receive valuable membership benefits to help you accomplish your major goals. For move details about the MentorInSight.net Tool Kit and to take the complimentary GuSTO survey visit: http://www.MentorInSight.net. We encourage you to consider excelling with lessons from the MentorInSight.net Tool Kit. The GuSTO app which is step two of the tool kit will give your personal calendar network of advisers a bird’s eye view of your schedule; your dream team advisers that you personally invite into your calendar can call the best shots, offering priceless advice and encouragement. 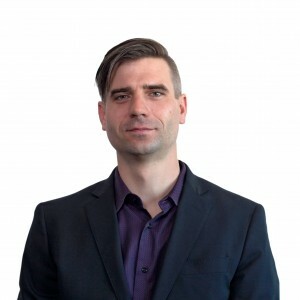 If you’re ever lost on how you can assemble your own personal board of advisers, valuable insight on connection strategies are provided complimentary via the GuSTO Support Center Career Coach. New Year’s resolutions are right around the corner, so get an early start on making the most out of every minute with GuSTO.